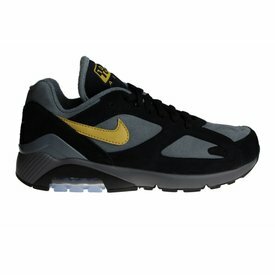 Nike Air Max 180 men's sneakers. 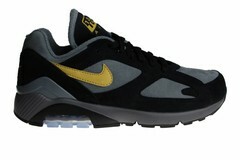 The loved Air Max 180 is this time released in the colors black with grey and a yellow Nike swoosh (logo). 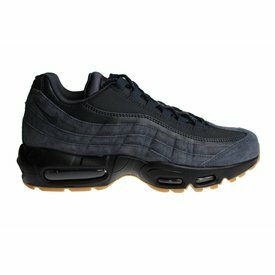 Very nice Nike Air Max 95 SE for men. These sneakers have a very cool look and it is very good to combine with different colors clothing.